Today the results of Gujarat Common Entrance Test(CET) has declared the results on its official website today.The exam is conducted by the Gujarat Secondary and Higher Secondary Education Board (GSHSEB). GUJCET is for admission to engineering degree and diploma courses and pharmacy courses for both medical and non-medical streams. This year, nearly 2.67 lakh students appeared for the test conducted on May 10th and 11th.The results are crucial for the higher secondary students (class 12th) students taking admission into degree courses. For admissions, 40 percent of GUJCET is considered and the rest 60 percent weightage is given to class 12th results. 4.Keep a print out of the result for official use. 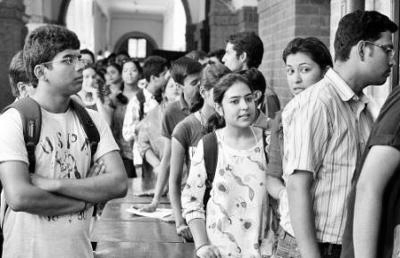 About 1,32,291 students appeared out of 1,34,186 students who registered for the Gujarat Common Entrance Test (GujCET) on May 11 in three different streams for admission to various engineering, medical and pharmacy courses in government and private colleges of Gujarat. Till 2012, GujCET was conducted but Joint Entrance Examination (JEE) conducted by the Central Board of Secondary Education (CBSE) was made compulsory as a common entrance test in these courses since 2013 but within four years the government withdrew it and with the GR, the provision of JEE being mandatory was abolished and instead of it, GujCET was re-introduced.